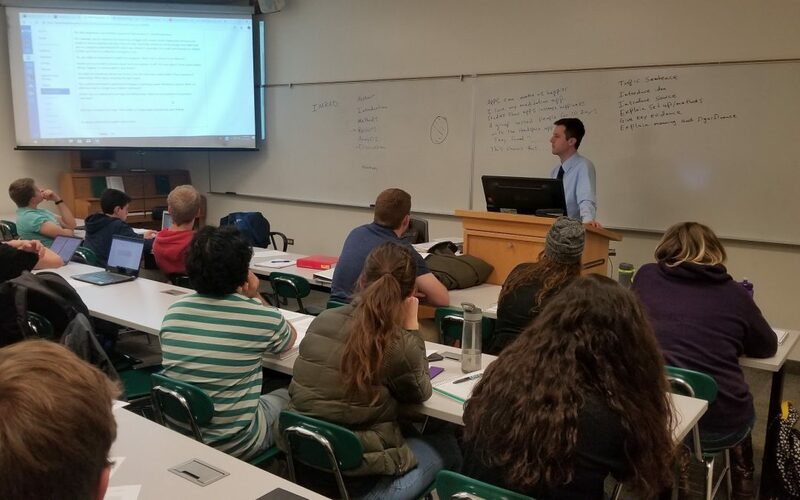 High school students can get a head start on their college education by dual enrolling in BYU-Idaho courses, which will count toward their high school graduation. “We are just making this opportunity available to the student that wants to,” said Chad Price, the BYU-I space management and planning director. Recently, President Henry J. Eyring and the President’s Executive Group have discussed expanding the already established concurrent enrollment program, to help high school students who are academically ready to further their education while cultivating a spiritual learning environment. Price said BYU-I’s Learning Model allows high school students in the concurrent enrollment program to learn to think for themselves, come to class prepared and teach others. “Why wouldn’t they want to do that?” Price said. He said enrolling in concurrent enrollment courses allows high school students to study alongside students from around the world and people with life experiences, thus enriching their education. High school students considering taking concurrent enrollment courses should note that BYU–I courses, whether online or on-campus, follow the BYU–I academic calendar, which may differ from their high school’s schedule, Price said. The BYU–I Concurrent Enrollment Program is open to high school students around the world in their junior or senior year and who are at least 16 years old. More details, including academic standards and tuition prices, can be found on the BYU–I website.